Renting out your spare room at home can help make you a lot of money. For minimal effort, you can earn tons yearly. However, as expected, renting out your spare room has its own pros and cons. First, you must be curious on where you should start. Here are some tips to get you started. Very much like landlords, you should have a detailed listing of the space you’re renting out. This should include photos, up to date information about the property and a brief profile of the other people living in the house. Do not be shy to introduce yourself. Finding potential tenants takes a bit of effort, as well. Naturally, there are thousands of potential tenants out there. However, it is always good to try and search some for yourself. By doing so, you will be able to get to know the people you will be living in. Very much like a landlord, it is always important to interview your potential housemates. This will help you figure out if you can live under one roof together. Pros of renting your spare room. Extra income – obviously, one of the benefits of renting out your spare room is extra income. Companionship – if you live alone, a new tenant could help you to get socialize more. Moreover, it will help during those days when you’re bored spending the whole day alone at home. Sharing the household chore load. Cons of renting your spare room. 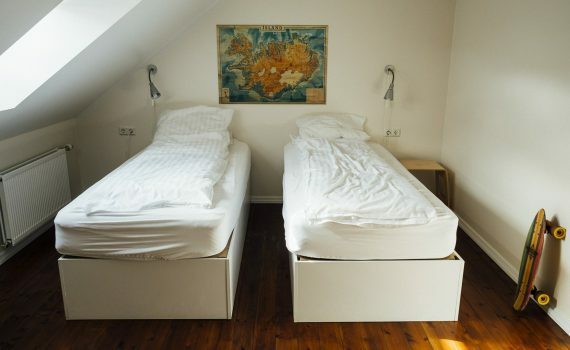 Have you tried renting your spare room before? Let us know in the comments below!